A NEW Church of England church will be launched in a refurbished department store in the centre of Portsmouth. Harbour Church, based in Commercial Road, will be aimed specifically at students and young adults, and will hold its first Sunday service at 10am on September 4. 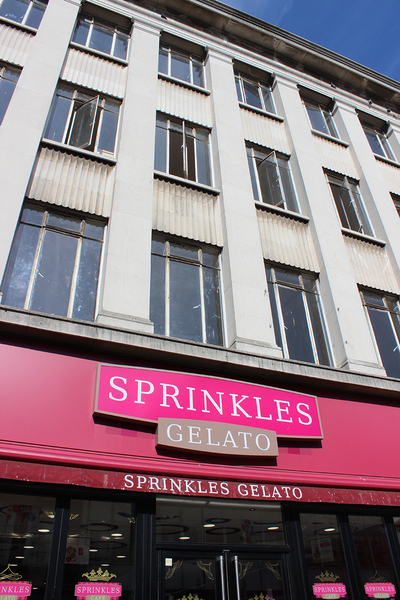 It has created a new worship area and smaller rooms for children’s activities and community initiatives across three floors of the former department store, above Sprinkles ice cream parlour. Around 30 worshippers have relocated to the city from St Peter’s Church, Brighton. They have taken jobs or started university courses in Portsmouth to create this brand new congregation. They expect their church to grow to more than 200 people within five years. The new congregation aims to improve the lives of the homeless, those in debt and the unemployed in inner-city Portsmouth via a series of community initiatives. Those initiatives include creating jobs in a new coffee shop they’ll run next door to Sprinkles ice cream parlour. The vicar, the Rev Alex Wood, and his wife Liz have also moved from St Peter’s Church, Brighton, with their family. They have been joined by a new curate, the Rev Ben Bryant, who was ordained in Portsmouth Cathedral in July to take up this new role, and his wife Martha. The Bishop of Portsmouth, the Rt Rev Christopher Foster, will be at Harbour Church for the launch on September 4. Worshippers will enjoy bacon sandwiches and bucks fizz. The creation of this new church is part of a strategy by Portsmouth’s Church of England diocese, which aims for numerical and spiritual growth in its churches by 2021. "We're really excited about the launch of our Sunday services on September 4," said the Rev Alex Wood. 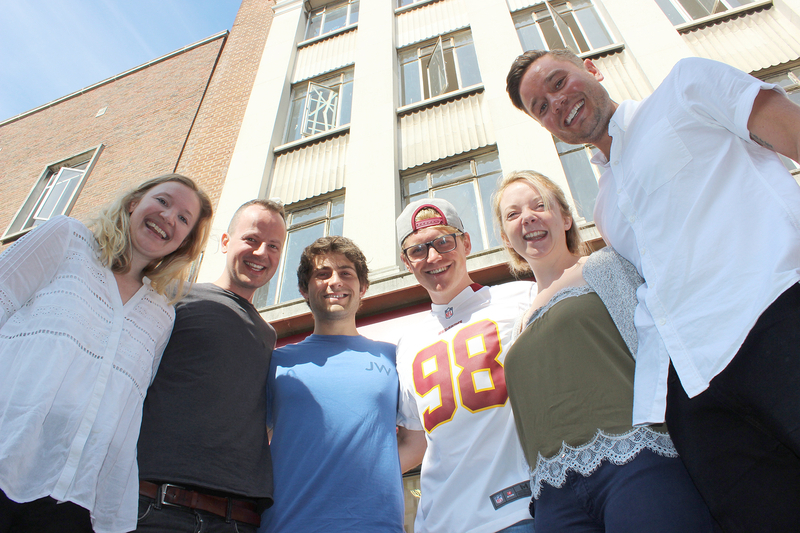 "We've spent the summer praying and worshipping with the embryonic congregation, and also re-fitting the former department store where we'll be based. We'll have a great worship space on the first floor, and rooms on the second floor for children's groups and community activities. "It's not often that a brand new C of E church is launched, so this is a wonderful opportunity for us to create something fresh. We believe we can offer a church community that will particularly appeal to young people and students, but of course anyone is welcome. "And we hope to serve those who may feel marginalised within our city, such as the homeless people sleeping just outside our door, unemployed families who might struggle to make ends meet, and asylum seekers who might have few other places to turn. I genuinely hope God can use us to bring hope and love to those who find life difficult." Those moving from St Peter’s Church, Brighton, already have experience of this kind of ‘church planting’. St Peter’s was itself created as a new congregation five years ago when 30 worshippers moved there from Holy Trinity Church, Brompton, in London. St Peter’s now attracts 800 people a week. The £2.4m strategy created by Portsmouth diocese for the next five years aims to develop new styles of worshipping communities alongside more traditional models of church. It has been partly funded by a £929,000 grant from the national Church of England. The diocese aims to create 12 new worshipping communities, each with between 50 and 100 worshippers, as well as Harbour Church. These may not be based in church buildings, and won’t look like traditional services or depend on geographical parishes. They could be based around shared interests or creative styles of worship. And the diocese has already recruited ‘pioneer ministers’ to create those new worshipping communities in the Leesland area of Gosport, the PO9 area of Havant, and in Cosham and Wymering. It aims to recruit another three paid pioneer ministers in other parts of south-east Hampshire and the Isle of Wight. Bishop Christopher said: “I am a fervent believer in the importance of traditional parish ministry and chaplaincy. There are some fantastic examples in our diocese of congregations that are vibrant and often growing because they are sharing God’s love effectively with others. “But I also know that we have to find new ways to create disciples among those we have often found hardest to reach, such as inner-city estates, new areas of housing and with younger people. “A key part of our strategy is pioneering ministry and fresh expressions of worship – finding ways of reaching out to those who simply aren’t interested in our traditional models of church. That involves committing ourselves to appointing those with vision for new ways to engage with the communities they serve.